PostNord has partnered with e-commerce platform Wish to ensure that Wish customers no longer have to pay VAT or any handling fees upon the arrival of parcels to Sweden. Such charges will be handled by Wish with PostNord at the time of the purchase. Wish asserts that it is the sixth largest e-commerce company in the world. Similar to eBay, small businesses and manufacturers on Wish sell goods directly to consumers. The VAT declaration will be made immediately upon arrival in Sweden, and the whole process will be handled by Postnord and Wish. Customers shopping from Wish will receive their goods quicker with prepaid VAT and do not need to pay a handling fee to PostNord. “I am very pleased that PostNord and Wish have been able to provide a solution that handles VAT immediately upon purchase. 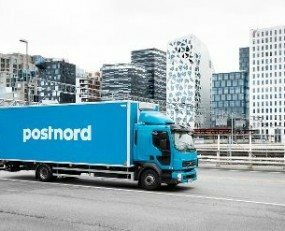 This makes it considerably cheaper and smoother for the consumer while at the same time we can avoid a complicated and labor-intensive handling for those shipments originating from outside the EU Customs Union,” commented Peter Hesslin, Head of Solutions at PostNord Sweden. With the new system, Wish will collect the VAT upon purchase, place a special label on the packages and pay a handling fee to PostNord. In addition, electronic information about the items will be sent to PostNord in an EDI file. On arrival in Sweden, the label is scanned and with prepaid VAT, the shipment can be VAT declared immediately and, after approval by the Customs Office, forwarded to the recipient. “We hope that more international e-retailers will implement this solution. It would benefit the growing e-commerce while more consumers can trade much smoother and at significantly lower costs,” Hesslin concluded.